Wilfrid Laurier University is committed to conducting its business affairs in a socially responsible manner consistent with its educational mandate. Wilfrid Laurier University should expect nothing less of its suppliers and licensees. Therefore, Wilfrid Laurier University suppliers and licensees should conduct their business in a manner consistent with, and follow work place standards that adhere to, this Code. “Code” means this document in its entirety. “University” shall apply to Wilfrid Laurier University and affiliated retail outlets. “Supplier” means any natural or legal person who provides Wilfrid Laurier University with goods and/or services. “Licensee” shall include all persons or entities that have entered into an agreement with the University to manufacture items bearing the name, trademarks and/or images of the University. “Subcontractor” means any natural or legal person who, directly or indirectly, provides a supplier or licensee with goods and/or services integral to, and utilized in/for, the production of the supplier’s or licensee’s goods and/or services. “Child” means any person less than 15, unless local minimum age law stipulates a higher age for work or mandatory schooling, or less than 14 if minimum wage law is set at that age in accordance with developing country exceptions under ILO Convention 138. “Displaced child worker” means any child worker who can be shown to have been regularly at work within six months of the commencement of the employers’ relationship with Wilfrid Laurier University. “Adequate transitional economic assistance” means income no less than wages earned at the time the child is found to be working, to enable such children to attend and remain in school until no longer a child. “Young worker” means any person under the age of 18 but over the age of a child. Wages that meet “basic needs” by local standards are most effectively determined through free collective bargaining. In the absence of free collective bargaining, wages that meet “basic needs” should be defined as wages paid for a normal 48 work week that are sufficient by local standards to provide for the food, clothing, housing, health care, potable water, child care and transportation needs of the worker and his/her dependents. In defining wages that meet basic needs, factors that should be taken into account include the average number of dependents and the average number of wage earners per family in the sector in each country, local “market basket” surveys of the cost of goods and services needed by an average family, as well as data from local governments, labour and human rights organizations, and UN agencies. a) All suppliers entering into contracts with the University that have a value of greater than $50,000 and a duration of longer than one year. b) All suppliers entering into contracts with the University bookstore that have a value of greater than $10,000 and a duration of longer than one year. c) All suppliers entering into a contract with Laurier Athletics that have a value of greater than $25,000 and a duration of longer than one year. In indicating their own compliance with the Code, suppliers accept responsibility for ensuring that all subcontractors in the supply chain are in compliance with the code. All suppliers are required to adhere to this Code, however, no supplier may represent that they have been certified as being in compliance with this Code. It is the intent of Wilfrid Laurier University to engage in constructive dialogue with suppliers to assist in their coming to compliance. Where a product or service is essential to University activities or operations and cannot be obtained from a supplier in compliance with the Code (for example, only one supplier exists), exemptions will be granted on approval of the appropriate University authority. Where a Supplier or Subcontractor operates at more than one manufacturing or production location (e.g., multiple factories for different product lines), those facilities not involved in the supply/production chain of services or products used, purchased, or licensed by the University are exempted from the Code. Consequently, the University's decision to enter into or maintain a contract with a supplier does not constitute an endorsement of labour conditions for the supply chain as a whole. If Wilfrid Laurier University determines that any supplier or licensee has failed to comply with this Code, then upon consultation with the party, the University may require that the party implement a corrective action plan on terms acceptable to Wilfrid Laurier University. The remedy will include taking all those steps necessary to correct such violations including, and without limitation, paying all applicable back wages, or any portion of them, found due to workers. Wilfrid Laurier University reserves the right to terminate its relationship with any supplier or licensee that continues to conduct its business in violation of this Code. If abusive conditions are discovered at a production worksite and exposed to public view, the supplier must endeavour to correct conditions and not to “cut and run” from the site. Likewise suppliers and licensees shall not shift orders from a production worksite in response to successful worker organization and collective bargaining or due to contractor meeting or exceeding the standards set in this code. 1.1 There shall be no use of forced labour, whether in the form of involuntary prison labour, indentured labour, bonded labour or otherwise. 1.2 Workers shall not be required to lodge financial deposits or their original identity papers with their employers. 2.1 There shall be no use of child labour. 2.2 Adequate transitional economic assistance and appropriate educational opportunities shall be provided to any displaced child workers. 2.3 Workers under the age of 18 shall not be exposed to situations in or outside the workplace that are hazardous, unsafe, or unhealthy. 3.1 Physical, sexual or psychological abuse, or verbal harassment or abuse, including the use of corporal punishment, shall not be tolerated. 4.1 There shall be no discrimination in hiring, compensation, access to training, promotion, termination or retirement based on age, race, caste, national origin, religion, disability, gender, marital status, sexual orientation, union membership, or political affiliation. 5.1 Hours of work shall comply with applicable laws and industry standards on working hours. 5.2 In any event, personnel shall not be required to work in excess of 48 hours per week and shall be provided with at least one day off for every seven-day period. 5.3 Overtime work (more than 48 hours per week) shall be voluntary, shall not exceed 12 hours per employee per week, will not be requested other than in exceptional and short-term business circumstances, and will always be remunerated at a premium rate. 6.1 Workers, without distinction, have the right to join or form trade unions of their own choosing and to bargain collectively. 7.1 Wages and benefits paid for a standard working week meet, at a minimum, national legal standards or industry benchmark standards. 7.2 In any event wages paid for a standard working week should always be enough to meet basic needs of workers and their families and to provide some discretionary income. 8.1 A safe hygienic working environment shall be provided, bearing in mind the prevailing knowledge of the industry and of any specific hazards. 8.2 Access to clean toilet facilities and to potable water and, if appropriate, sanitary facilities for food storage shall be provided. Accommodation, where provided, shall be clean, safe and meet the basic needs of the workers. 9.1 To every extent possible work performed must be on the basis of recognized employment relationship established through national law and practice. 9.2 Obligations to employees under labour and social security laws and regulations arising from the regular employment relationship shall not be avoided through the use of labour-only contracting, or through apprenticeship schemes where there is no real intent to impart skills or provide regular employment, nor shall any such obligations be avoided through the excessive use of fixed-term contracts of employment. 10.1 No employee or prospective employee shall be subjected to the involuntary use of contraceptives or pregnancy testing. 10.2 Workers will be permitted to take maternity leave without facing threat of dismissal, loss of seniority or deduction in wages, and shall be able to return to their former employment at the same rate of pay and benefits. 11.1 All local labour laws must be followed. Such compliance includes with all applicable environmental standards. Where local labour laws and the code differ the higher standard shall prevail. 12.1 Employee standards shall meet or exceed those laid out within the Universal Declaration of Human rights. 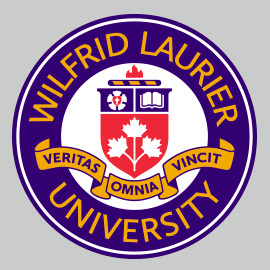 With one time product contracts Wilfrid Laurier University will make every reasonable effort to obtain the product origin and verify compliance with the code. C. A summary of the steps taken, and/or difficulties encountered, during the preceding year in implementing and enforcing this Code. Note: Suppliers and licensees shall immediately report to Wilfrid Laurier University when changes occur that materially affect the application of these standards, such as the selection of a new factory.